The Conservatives, by many accounts, should be laughing straight to the electoral bank. In a world where the citizenry vote with their wallets, Canada’s economic standing is unparalleled amongst mass-consumption liberal democracies. Many are still basking in the warm, fuzzy-feeling glow of the Olympics with an off-key rendition of O Canada ringing in their ears. Why then, does the newest Harris-Decima poll put the Tories at a meager five points over the Liberals with a 2.5% error- a virtual dead heat? Sure, Prime Minister Harper has had some rough patches in the two years since the last election, where he failed to capitalize on a fractured Liberal Party under the leadership of the hapless Stéphane Dion. The Afghan detainee affair, a swath of Senate appointments, and two Parliamentary prorogations prompted longtime Liberal MP Hedy Fry to declare Harper’s government “a minority that doesn’t act like one.” Fair criticism, to be sure, but certainly not the reason why the Tories are clinging to the lead after two years of effective economic governance. 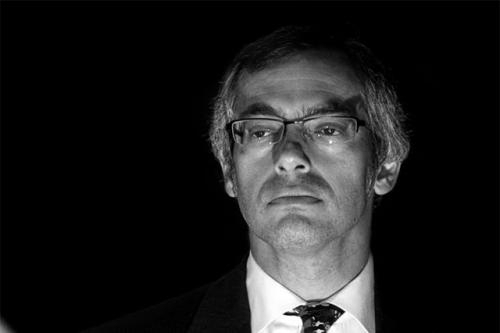 For a large part of the party’s struggles in federal opinion, look no further than Industry Minister Tony Clement. Perhaps the greatest blemish on the Harper government’s record is their handling of the G8/G20 summits in June. The vast amount of money spent- one billion dollars in security alone- for two separate conferences in two separate locations brings up a very legitimate question. Why couldn’t the two conferences both be held in Toronto? 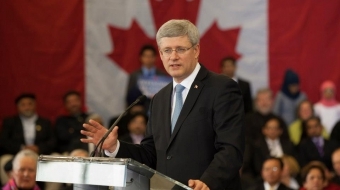 Harper has maintained that Huntsville, in Tony Clement’s riding of Parry Sound-Muskoka, gives the world an environment that is “uniquely Canadian”. But when Canadians began to realize that, in the past couple years, nearly $100 million has been poured into this riding of 90,000 people by the federal government, something fishy began to waft out of Tony Clement’s kitchen. Let’s do some research. Taxpayers have been slapped with a tab of $50 million- the G8 legacy fund- to finance a dearth of projects in the area, including $10 million for upgrades in the airport at North Bay and revamped infrastructure in nearby towns like Orrville and Port Severn. Unfortunately, no planes landed at Thunder Bay for the G8 Summit, and Orrville and Port Severn are 80 and 135 kilometers away from the summit, respectively. Worst yet, few of the dozens of infrastructure projects- including the aforementioned two- were finished in time for the summit. How could the Liberals resist picking on, at best, incompetent management, and at worst, blatant pork barreling? He has a point here. His communities have every right to put their “best foot forward” when Russian President Medvedev’s entourage decides to trek through foot-high mud to visit Baysville’s new, quarter-million dollar gazebo and public bathroom project. And don’t even get me started on FakeLakeGate. 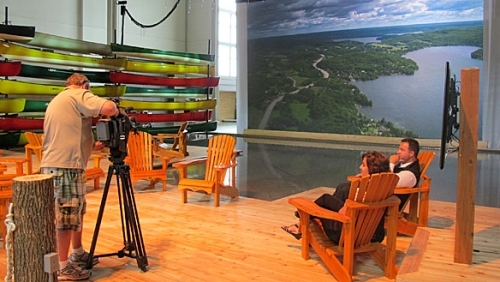 Huntsville wasn’t suitable to host the G8 press center, so naturally, it was hosted by a $2 million dollar tourist pavilion in Toronto, complete with its own fake lake, meant to mirror Muskoka’s breathtaking scenery. So why, again, did we put the G8 in Huntsville? Ask Mr. Clement. After all, he is the hundred million dollar man. June, unfortunately, was not Mr. Clement’s first taste of the Ottawa spotlight.In January, he described the reaction against Harper’s second prorogation of Parliament as reserved to the “elites” and “chattering classes”.